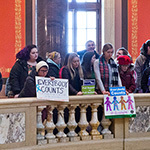 As the Legislature rolls into packaging and hearing omnibus bills, the Council on Disability would like to share progress made in the legislative session thus far. Progress has been made on many issues, including: #MNParksForAll, Accessibility of Public Buildings, Accessibility of Assisted Living Facilities, PCA Driving Reimbursement, Voters with Disabilities, and more. 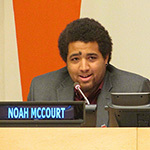 Autism Awareness Month Guest Blog by Noah McCourt: If we’re going to have “Autism Awareness Month” than let’s do it right and actually take the time to be more than “aware” about autism and celebrate the value that neurodiversity adds to the human experience in ideology, in perspective, in relationships and in our communities. MCD provided testimony on 3 important issues this week. First, the Executive Director spoke regarding the Council’s activities and budget proposal. She also testified regarding the authorization of CAV in Minnesota and its impact for PWD. 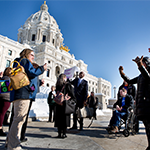 The Public Policy Director testified regarding an accessibility project on the Minnesota Capitol Complex. 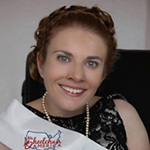 The Minnesota Council on Disability strongly supports the advocacy of Lauren Thompson, homecare advocate and MCD Region 11 Council member, who is one of the over 40,000 homecare clients struggling statewide because of the homecare crisis. Quinn Nystrom testified on Minnesota House File 485 and 284. 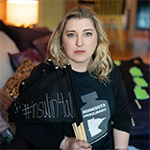 These bills address the skyrocketing costs of insulin and the need for transparency in insulin drug prices. This week at the Capitol was the first hearing of the Connected and Automated Vehicle bill establishing testing for CAV in Minnesota. Unfortunately, the bill was tabled while details are worked out. Elsewhere, Council members testified how shortages are negatively affecting their lives.